If you’ve been a previous customer of Easy Blog Networks, you may find that you have the EBN core plugin installed on your domain. This guide will show you how to remove it. First, you want to login to your domains cPanel. Then, you want to navigate to your domains File Manager. It is listed under FILES, as shown below. In your File Manager, you will be shown the current content on your domain. You will want to double click on public_html. You can either do this from the left with the + buttons or double clicking the icons beside folder names. At this point we want to be in the wp-content folder, so again, double click and it should open. 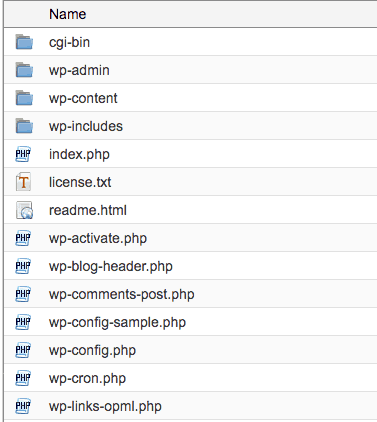 Inside wp-content, you will find another folder called mu-plugins. Click mu-plugins and then hit the delete button, it is found above the folder navigation. This pop up will show, tick “Skip the trash and permanently delete the files” and hit Confirm. You have now removed the EBN core plugin from your domain!